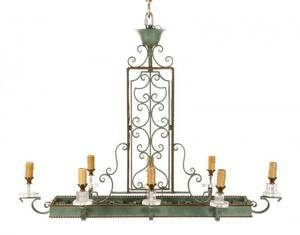 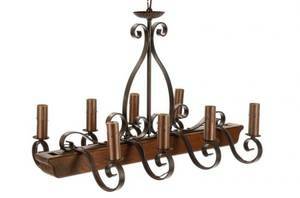 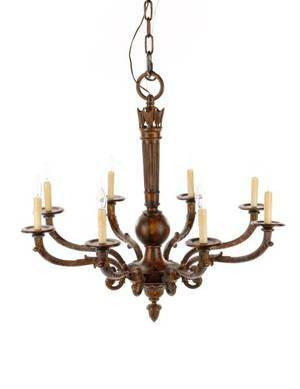 Rectangular iron 8 light billiard light or chandelier with scrolled and foliate details. 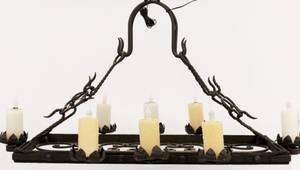 Measures 30 inches high x 50 inches long x 33 inches wide. 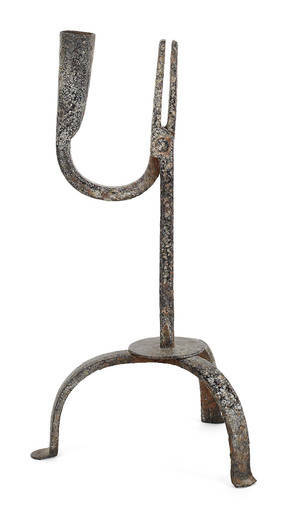 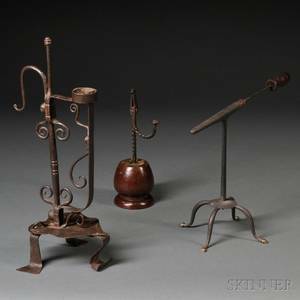 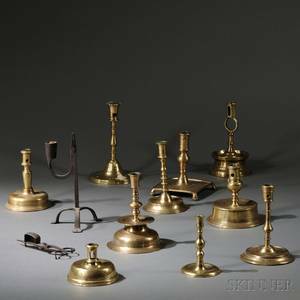 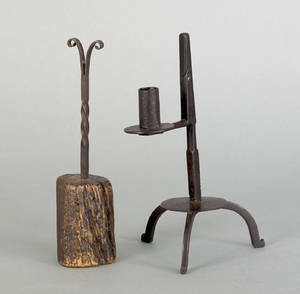 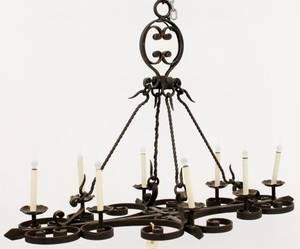 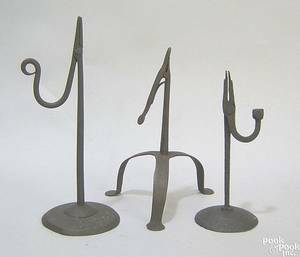 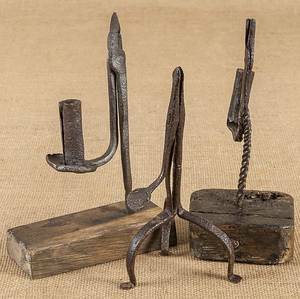 Wrought iron rush light, late 18th c.
Two wrought iron rush light holders, 18th c.
Wrought iron rush light, ealry 18th c.